Perfect Drink Pro App-Controlled Cocktail Mixer - Moar Stuff - You don't need it but you know you want it. $97.20 $99.99	Get Your Stuff! Fun and easy way to make delicious mixed drinks at home. Download the free app for your phone or tablet and connect to the smart scale. 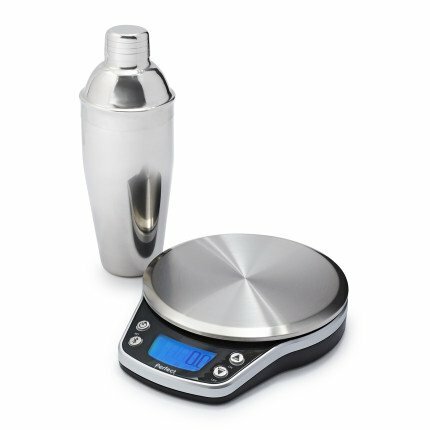 Comes with the Wireless Perfect Scale PRO, Device Stand, and 750ml Stainless-Steel Shaker. Does not include glasses, bottle, or tablet. The Perfect Drink Pro App-Controlled Cocktail Mixer will finally solve to problem of finding someone who can make drinks correctly. 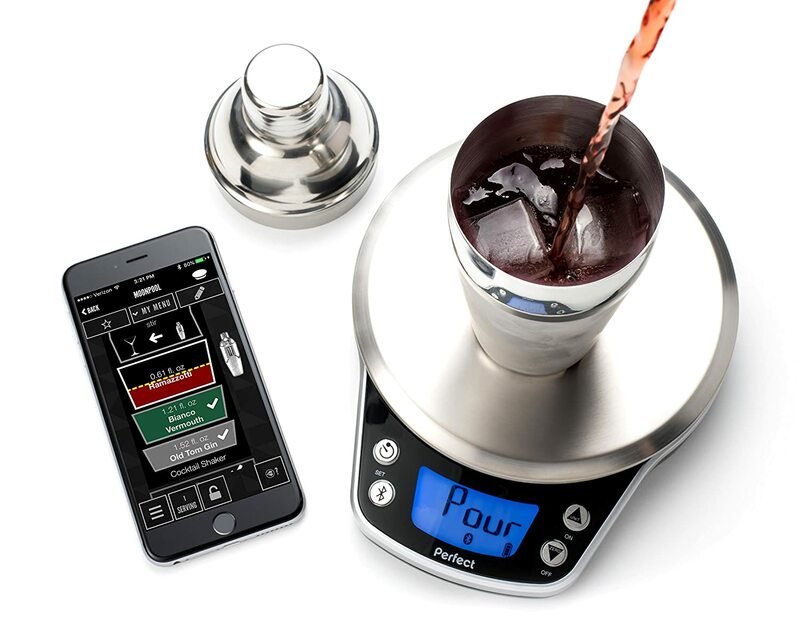 That’s because with this gadget and a smartphone ANYONE can make your favorite drink correctly. All you have to do is pour the ingredients, in order, until you hear a “ding” or see the visual feedback from the app. Then move on to the next ingredient. Since there’s no measuring, there’s no fumbling for jiggers or measuring cups. That means you can get your (correctly made) drink faster and I think we can all agree that’s a good thing. The Perfect Drink comes with 400+ recipes and you can add your own. It will even tell you what cocktails you can make based on what you have on hand or, if you have something specific in mind, it can generate a shopping list of ingredients you’ll need to make that drink. It’s even capable of automatically scaling up recipes from a single glass all the way to the size of a party pitcher! How awesome is that? The Perfect Drink 2.0 doesn't have the features of the Pro version but, it's a cheaper if you don't need to mix up a whole pitcher of cocktails. So, if you like to throw parties or just drink proper cocktails at home, this is the one piece of essential bar equipment you need to get. Product Dimensions: 9.8 x 7 x 11 inches. Tell Perfect Drink what you have on hand and it tells you what drinks you can make, it can even generate a Shopping List for the recipes you select.